LauncherTwo will be too heavy for Virgin’s WhiteKnightTwo carrier aircraft, which is designed to air launch SpaceShipTwo and LauncherOne. The larger rocket will be carried aloft by a modified Boeing 747 aircraft, sources said. Meanwhile, LauncherOne and its two engines, NewtonOne and NewtonTwo, have been shelved, the sources reported. In an email to Parabolic Arc, Virgin Galactic Vice President for Special Projects Will Pomerantz said the company is continuing to develop LauncherOne. He did not comment on the reports about LauncherTwo. As we’ve learned from the SS2 side, it can be a balancing act trying to respond to people’s interest in our programs without encouraging speculation and setting unintended expectations. So for now, I’ll just say that we’ve got our eyes focused on execution of LauncherOne and finishing the new spaceship. We’re happy to have all the funding we need, a great and growing team, and the support of our customers on both the human spaceflight and the satellite launch side. We’ll be ready to share the latest updates on both programs in a few months. Please be patient, and thanks for your interest. Pomerantz also confirmed reports that a Virgin Galactic rocket engine recently exploded on the test stand at the Mojave Air and Space Port. I will say that we did recently have a hard start on one of our tests for a LauncherOne engine, but as you know that is pretty typical in liquid engine development. The test team did a great job of learning what they needed to learn and we’re now back out on both of our liquid test stands. Sources claim that it was a NewtonThree engine that exploded on June 30. The engine was destroyed and the test stand damaged, they said. OneWeb plans to place a constellation of 648 satellites into 1,200 km (745.6 mile) high orbits to provide global Internet services. The Virgin Group has invested in OneWeb, with Virgin Chairman Richard Branson serving on the company’s board. OneWeb has awarded 39 launches to Virgin Galactic with an option for 100 more. Virgin Galactic President George Whitesides told Space News that each LauncherOne mission would carry between one and three satellites depending upon the capacity of the company’s launch vehicle, the weight of the satellite, and the specific orbit required. However, that plan appears to create a mismatch between the weight of the spacecraft and LauncherOne’s payload capacity. OneWeb satellites will weigh about 125 kg (275.6 lb) apiece. LauncherOne will be capable of placing payloads weighing up to 225 kg (496 lb) into low Earth orbit for a cost of less than $10 million, according to Virgin Galactic. Thus, LauncherOne would be capable of launching a single OneWeb satellite at a time unless the weight of the spacecraft is reduced or the capacity of the rocket is increased. The 1,200 km (745.6 mile) orbit for the OneWeb satellites is higher than a typical low Earth orbit. 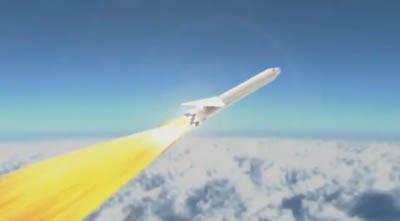 It’s likely that LauncherOne would be able to loft less payload to that higher orbit. Launching one satellite at a time could be an expensive proposition. For example, if LauncherOne was to cost $7 million per flight, OneWeb would spent $273 million to launch 39 satellites in a constellation of 648 spacecraft. OneWeb also has placed an order for 21 Soyuz launches, which will carry 32 to 36 satellites at a time. OneWeb has not disclosed the cost of each Soyuz launch, but it will be well below the cost of 39 LauncherOne flights for a similar number of spacecraft. 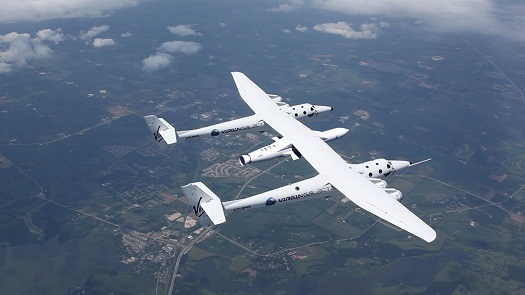 Virgin Galactic has talked about LauncherTwo on occasion without providing any details. Branson mentioned the rocket briefly in January during an interview with BBC News about the OneWeb project. Virgin Galactic’s satellite launch program has had a long and bumpy history during which periods of activity were followed by lulls. Along the way, some key personnel have departed the program. Throughout, the launcher has taken a back seat to the much more glamorous SpaceShipTwo, which will carry tourists on suborbital hops. In 2009, Aabar Investments — a sovereign wealthy fund of the Gulf nation of Abu Dhabi — invested $280 million in Virgin Galactic. Aabar offered the company an additional investment of $110 million when it came up with a credible plan for developing LauncherOne. That same year, Virgin Galactic hired Adam Baker away from Surrey Satellite Technology Limited to manage the program. However, he left the company the following year, after which Virgin Galactic announced a slow down in the program. In July 2012, Branson re-launched the LauncherOne program amid much fanfare at the Farnborough International Airshow in England. The British billionaire announced a list of customers for the launch vehicle that included Skybox Imaging, Spaceflight Services, Planetary Resources and GeoOptics. The LauncherOne program made good progress in the 17 months that followed. Under Vice President of Propulsion Tom Markusic, engineers developed three new engines: NewtonOne, NewtonTwo and NewtonThree. The first two engines were designed for LauncherOne. NewtonThree was sized to replace the troubled hybrid motor that powers SpaceShipTwo, according to sources. However, officials decided against making the change. Markusic left Virgin Galactic at the end of 2013. He was followed by a number of engineers. The departures slowed progress on LauncherOne throughout 2014, sources say. Virgin Galactic also was preoccupied with flights tests of SpaceShipTwo during this period. Reliable reports surfaced during 2014 that Virgin Galactic was in negotiations with search giant Google. Under the deal, Google would make an equity investment in Branson’s space company and also take over development of LauncherOne. No agreement was reached. Virgin Galactic renewed its focus on LauncherOne following the crash of the first SpaceShipTwo vehicle during a flight test on Oct. 31, 2014. The company subsequently announced the leasing of a facility in Long Beach, Calif., where LauncherOne vehicles would be built. Virgin Galactic also ramped up hiring for the program. OneWeb announced its plans for global satellite Internet services and the Virgin Group’s involvement in January 2015. OneWeb announced a $500 million round of funding and orders for satellite production and launches in June. Whats the verdict here .. if you cant get a small rocket to work in decades, build a much bigger one and .. cross fingers ? Spacex built F1 and got it working before moving onto F9, despite the fact that F9 had vastly more payloads than F1. Maybe that is a lesson for VG? As an outside observer, VG’s business strategy looks rather chaotic and not very well planned. It also suggests their senior management and, more importantly, their key investors have insufficient understanding of the associated technology and markets. For example, Dr Adam Baker made a presentation at RIspace 2014 that showed the commercial business case for dedicated small satellite launch is weak and even weaker for air-launched expendables. Given this and similar assessments, I fail to see how these developments will be any more successful than SpaceShipTwo. Would it make any sense to join forces with Stratolaunch? Considering Stratolaunch’s Burt Rutan is the one who sold him on the unworkable rubber engine that SpaceShip Two was designed around, that might be a bit of a tough nut for Branson to swallow. But you bring up an interesting option. I’ve read that one of Orbital’s main problems with its air launch services is the fixed costs associated with their giant old L-1011 that only flies once a year or so. Getting that big vehicle moving and earning revenue could be a win-win for both Stratolaunch and VG. Also, I’ve read that Stratolaunch may be having problems with the rocket the plane would be launching — if that is the case, there could be a lot of synergy here. I feel like I read somewhere that Stratolaunch all but stopped work on the launch vehicle and is proceeding only with the carrier. It would seem like a bad business decision develop the carrier separately from a launcher, but the people involved with that are much smarter than me. 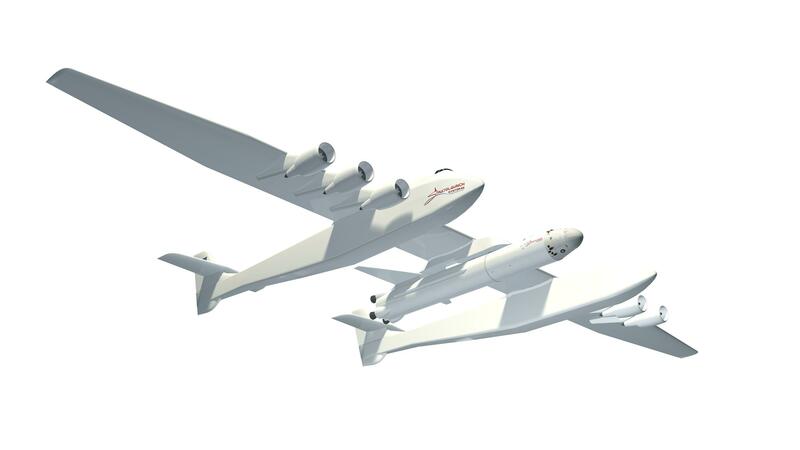 It seems like it would be good for both VG and Stratolaunch if they were able to work something out. Stratolaunch is far too big for the sort of thing VG seem to be contemplating (e.g. ~1t into LEO), based upon Doug’s article. Moreover, its availability will likely be far too late for VG’s needs while its operations cost are very likely to be far too high to support a viable business case. More liquid propellant engines? I hope they make one which can work with SpaceShipTwo. Should greatly help their bottom line if reusable like XR-5K18. The Newton engine technology is supposed to be good. So, I think they can do it. The problems lie elsewhere. NewtonOne and NewtonTwo were actually developed and hot fired in 2013 before Markusic left at end of 2013. Those were designed for LauncherOne. And it seems the LauncherOne was making pretty good progress. I don’t believe there was that much progress on NewtonThree. So, a new team has to figure that out. The sources say the NewtonThree had a hard start on the test stand three weeks ago (Pomerantz says it was a “LauncherOne engine”.) Reportedly, the mixture and sequencing was off in the hot fire. Engines blow up on the stand; it’s not unusual in this business. The issue is you’ve just had a setback with NewtonThree, you’ve got to develop a brand new upper stage for the larger rocket. You also need to figure out how to modify a 747 to carry it. The whole things is potentially much more complicated, expensive and time consuming than continuing on with a smaller launch vehicle where a good amount of progress had already been made. Pomerantz says they’re continuing to develop LauncherOne; my sources say otherwise. LauncherOne was sized and priced for a particular market, and they had agreements from various companies to fly on it. If you abandon it, then what happens to that market and those agreements? Stratolaunch weren’t directly working on the actual LV, they’d contacted OrbATK for that; and they dropped them a few months ago. They’re looking for a new design and contractor right now. Just pop on a rotary bomb bay, like the one on the B-52. Or maybe they could carry them internally in the twin fuselages and drop them like bombs. On second thought, having fully fueled liquid rockets inside the fuselages might not be a good idea. Even fueling them one at a time seems pretty dangerous. Chuck Beames said at space access last week they have a new rocket in development. Details to come in a few months. He had previously said they were looking at some smaller rockets. I would doubt a launchertwo would fit the bill. It seems too undersized for stratolaunch. Ive also heard about a 747 being modified. But never say never. Could make a funny sitcom if the whole story wasnt so tragic. Maybe a very black comedy. well, at some point, they may allow the original Launcher 1 to continue forward, while working on this new version (and call it Launcher two instead). O-atk was the worst choice for them to do. O-atk has no real experience making rockets, except for solids. From the side lines, it appears that they are not able to get the top ppl. Most, if not all, of them, are working for other companies. As such, VG is subbing out to second or 3rd rate companies like O-atk (though ATK certainly knows what they are doing with rockets). Doug, it will depend on the nature of the contracts. If VG has contracts to launch payloads, then you can launch them how you like. If the contract specifies a launch vehicle then that is more complex. The contracts likely won’t be in the public domain, but they probably say something generic like a VG vehicle, so VG wouldn’t have a problem if they bundled payloads onto something larger, so as they all got to the right orbits. Stratolaunch is Rutan and Allen. They don’t seem to get on very well with Branson as far as we can tell. It may make sense for VG to try to team up with Stratolaunch, but it probably doesn’t make sense for Stratolaunch to team up with VG. Stratolaunch have expertise and money, so VG wouldn’t be bringing anything new to the party. Doug, its interesting that VG don’t just use say four LauncherOne engines per stage for LauncherTwo. Taking into consideration that those engines already work. I think that is the sort of thing that Elon Musk would look very hard at. But VG don’t seem to have the CTO capability to do these sorts of things. Four customers put down deposits for flights. Not clear how much or if they were refundable. SNC and Surrey Satellite also agreed to create satellites specifically configured for LauncherOne. Thanks. Let me put it differently. Spacex had some F1 customers that they managed to switch to F9 (Orbcomm???). So if Spacex can switch their customers to a new rocket, then VG should be able to too. Absolutely. Not disagreeing at all. This begs the question: who’s money is behind this, given the spending to-date on SpaceShipTwo… and what’s still required to complete it? I suspect this is just another one of Branson’s ploys to shore-up VG’s image while he tries to ensnare new investors. What was the reason SpaceX bailed on stratolaunch again?? SpaceX decided that they didn’t want to have to keep the tooling around to build a different variant of rocket, since it would have had a much lower flight rate. The Stratolaunch Falcon would have been a little smaller than the planned-never-built Falcon 5, with only 4 engines on the first stage. The largest outside investor in Virgin Galactic (owning a nearly 40% stake in it as of October 2011) is Aabar, an investment firm mostly (95%) owned by IPIC (the International Petroleum Investment Company) which is wholly owned by the United Arab Emirates government. Aabar has invested at least $490 million into Virgin Galactic, and probably more since 2011. Dropped orbital a year ago. Actually 390 million. At one I double counted. hence the confusion. I’ve heard Allen doesnt like Branson much. I think Rutan and Branson get along better. Dave, is Dr Adam Baker’s paper on this available somewhere? I’d be interested to have a read, could only find the abstract. I never received a copy (the RIspace 2014 data pack only provided the abstract) but I did watch his presentation and talked to him later about it… he was rather disappointed by his findings. It would be valuable to know what these findings are as the UKSpace community appears to be putting a lot of store in this market, loads of talk about small satellites at the recent UKSpace 2015 conference. The assessment concerned dedicated small satellite launchers and not small satellites themselves, which already have a wide choice of launch vehicles to get them into orbit.